The SOUP jam sessions are a great way to enjoy your instrument with others. Sometimes our more experienced members offer up some handy tips. Many people find it easier to 'see it in person' - then try the tip at home. This page will feature tips and ideas that have been shared specifically at the jams, either as 2 Minute Tips or After-Jam Tutorials. Clip on Pick-up--Turn any acoustic ukulele into an electric ukulele for about $10!! They are made by various companies at various price points. If you are interested, check with Rudy, as he may bulk order some of these. Clip the pickup onto the headstock, plug the other end into any amplifier, and Presto: Ukulele Rock Star! 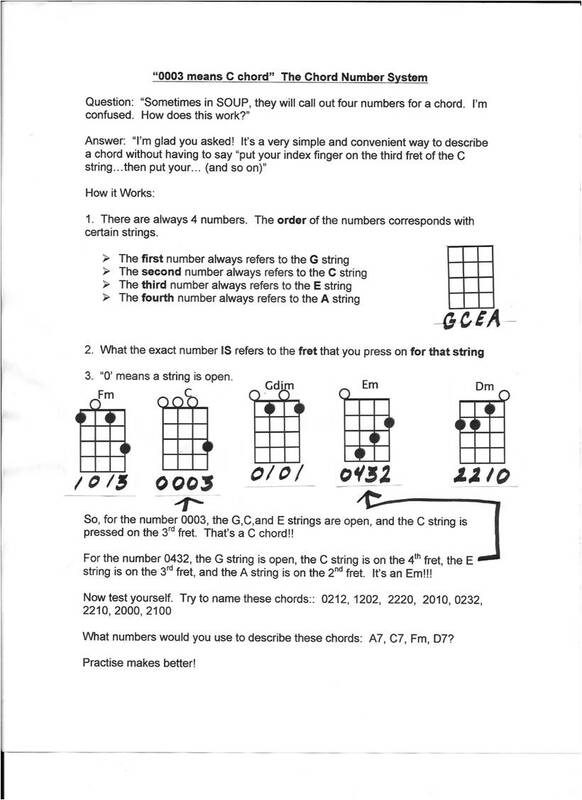 "Naming Chords by Numbers" taught by Libby April 18, 2016. Click here to view a document prepared by Lynda on this subject. "Up" and "Down" on the Fretboard--are you saying what you mean? Click here for a Ukulele Mike Lynch video tutorial on barre chords. Click here for another Ukulele Mike Lynch video on moveable chords. Taught by Libby April 11, 2016. Click here for the entire document and links to a few tutorial videos. Buying another ukulele? What to look for. Rudy touched on topics like Intonation, Resonance, Playability, Durability. 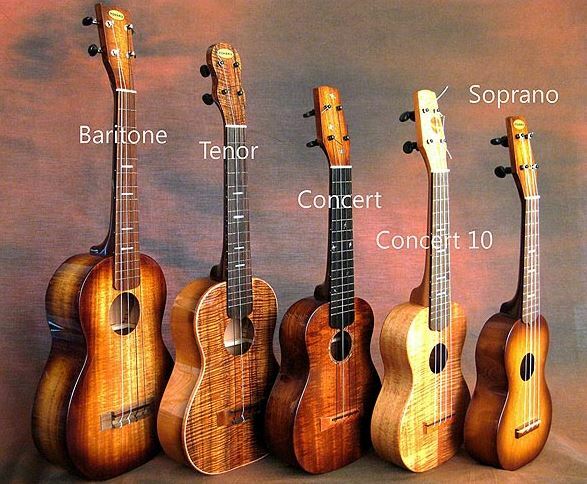 There is even an acronym that defines the love of buying and owning more than just one ukulele. UAS: Ukulele Aquisition Syndrome.